data visualization seems to be getting pretty popular and insane these days. the time of simple bar charts and pie graphs has been replaced with fireworks explosions depicting carbon output and complicated webs of red vs. blue states. 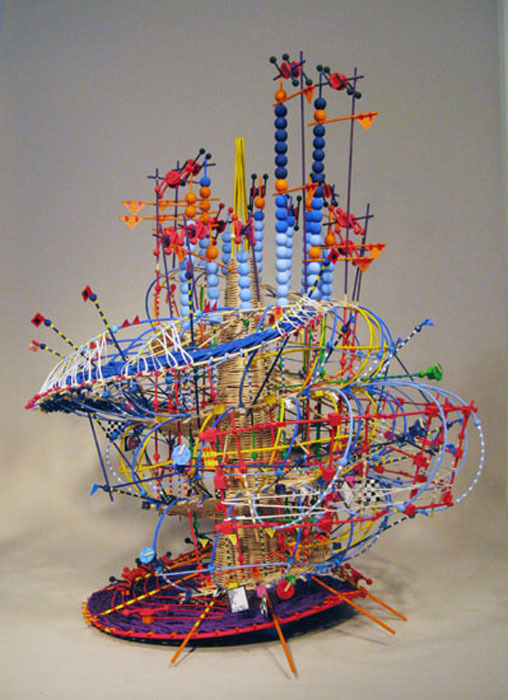 nathalie miebach‘s sculpture work is an impressive example of how numbers and data can be transformed into something visually exciting and beautiful AND 3D!!! her woven visualizations of weather data are also translated into musical scores which can actually be played by musicians, connecting dots in places that dots never really seemed to exist before. too bad my science fair projects never turned out like this! Barometric Pressure: Herring Cove, Cape Cod. Reed, wood, data. 36”x36”x36’, 2008. This piece looks at the relationship between barometric pressure, cloud cover, soil temperature readings and bird sightings during a 30-day period on Herring Cove Beach, Cape Cod. Temporal Warmth: Tango Between Air, Land and Sea. Reed, wood, data. 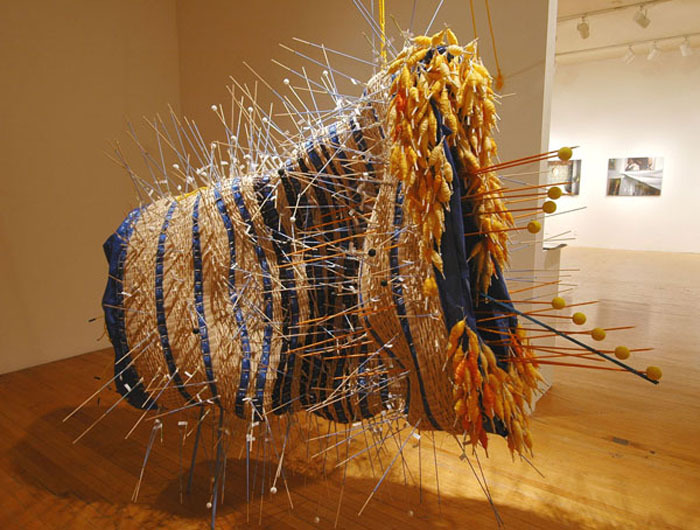 36”x38”x32”, 2008. For 18 months, I recorded land, sea and ocean temperature at Herring Cove Beach (Cape Cod). This somewhat mundane activity of sticking the thermometer into the sand, water or air, soon became a type of game in which I would try to guess which of these variables would be the warmest. All three have varying efficiencies in storing heat, which articulate themselves over time. This daily dance of temperature became for me the invisible pulse of the place from which to gauge the changes I noticed in the flora and fauna. Hurricane Noel. Reed, wood, plastic, data. 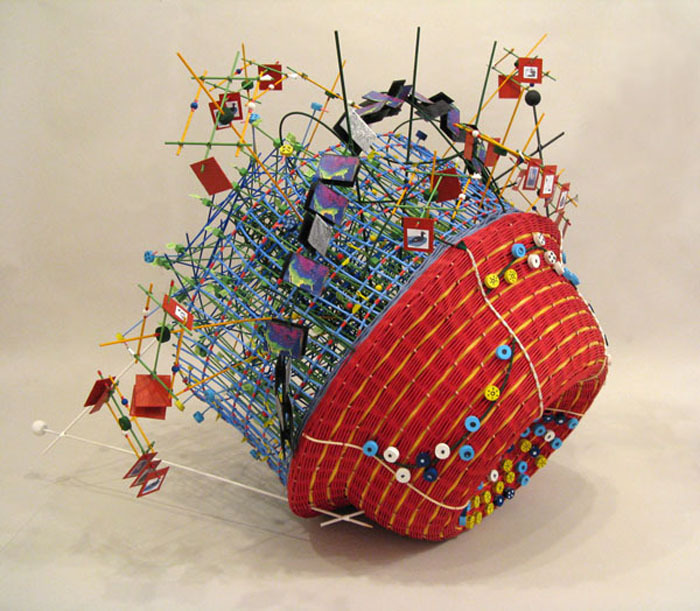 32”x32”x36”, 2010. 3D Musical Score of the passing of Hurricane Noel through the Gulf of Maine, Nov 6-8, 2007. 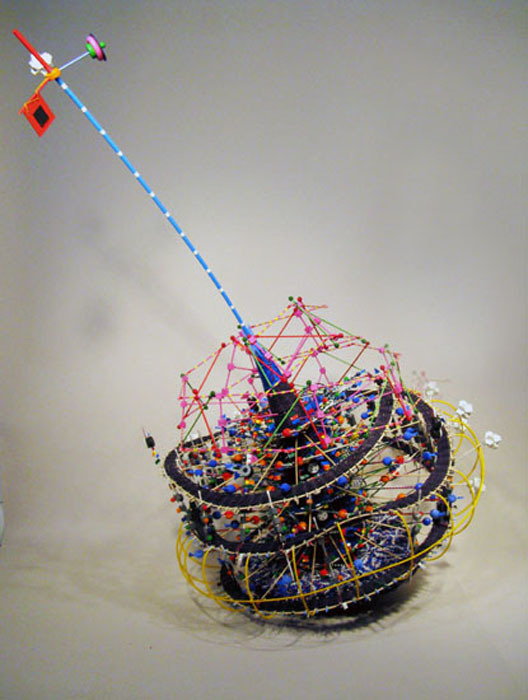 Arctic Sun – Solar Exploration Device for the Arctic.Reed, wood, plastic, steel, data. 6’x6’x4’, 2006. 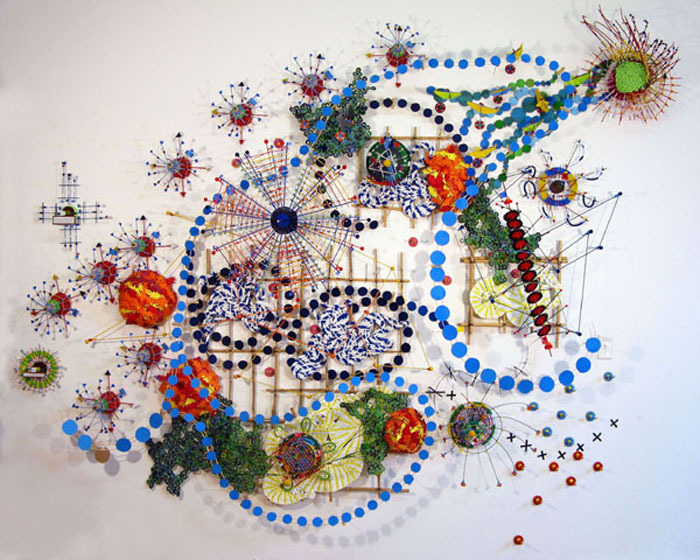 Using a base of 48 hours, this piece converts various layers of data (July 06 – June 07) related to the gravitational influence of both Sun and Moon on the Arctic environment. Additional data translated include tide readings, moon phases, solar path in relation to horizon and the distance between Sun and Earth. The Loneliness of a White Knuckler. Reed, wood, wire, paper, data. 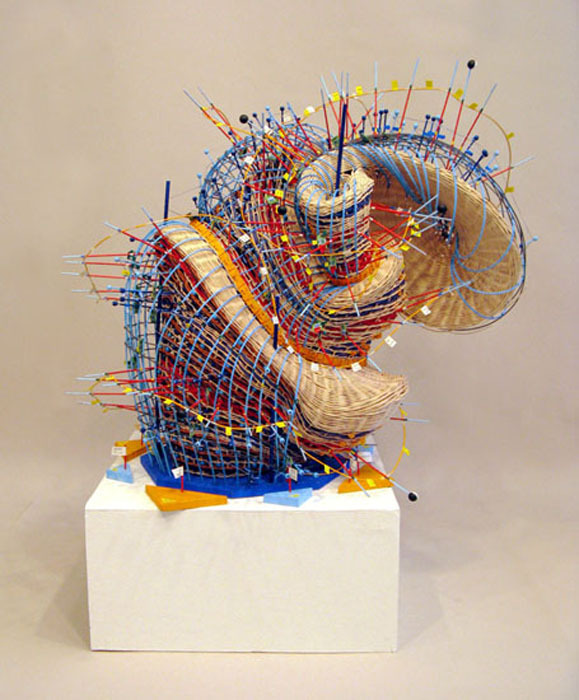 32”x 32”x 54”, 2010. 3D Musical Score, translating weather data of a particularly nasty winter storm in 2007 and the memories it evoked of the Blizzard of 1978. This entry was posted on November 19, 2010 at 1:41 pm and is filed under ART, BIG NEWS, COLOR, COOL STUFF, MUSIC, SCIENCE. You can follow any responses to this entry through the RSS 2.0 feed.